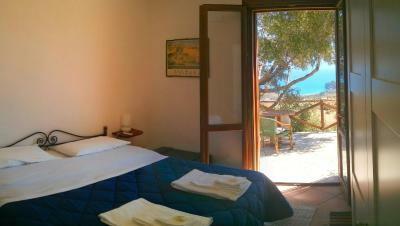 Lock in a great price for B&B Tre Giummare – rated 9.3 by recent guests! Terrace views of the gulf were beautiful. We could use the kitchen at any time. Lucia was an excellent host, and he was very helpful in recommendations for activities and restaurants. The view was amazing. The breakfast was delicious. Lucio is a very nice guy and an attentive host. 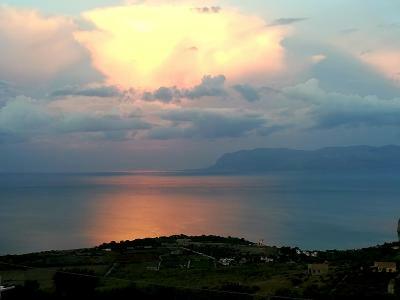 He renovated this country house with beautiful views over the bay of Scopello and within reach of the Zingaro reserve, arguably one of the most beautiful corners of Sicily. The room is cosy opening to a portico where we had breakfast. Breakfast was excellent and abundant. I would recommend if you like peace and tranquillity. The only drawback was the way to get there, difficult if you are an inexperienced driver. 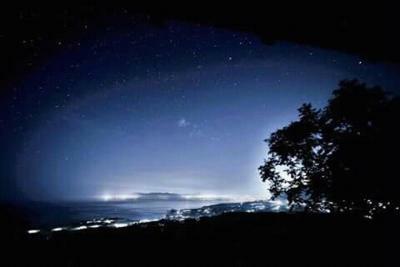 The rest, place, host, breakfast, view, peace, starry sky and general atmosphere are all top notch! We were actually sorry to leave. Great location with beautiful view and quite surrounding. Host Lucio is a very friendly and helpful man. 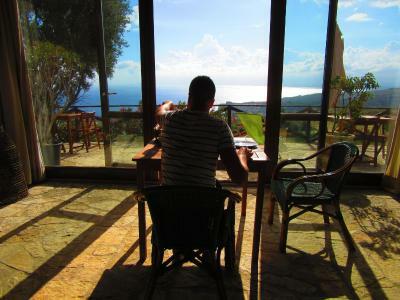 Lucio was a very gracious host, the breakfasts and view were AMAZING! 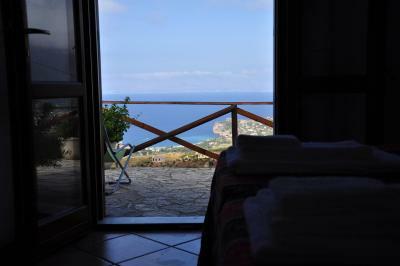 Great place to stay in Sicily. Also, ask Lucio about the boat tour with Antonio... it was the best money I've spent on holiday. Unbelievable view from the terrace and would have spent every night eating there if we had stayed longer. 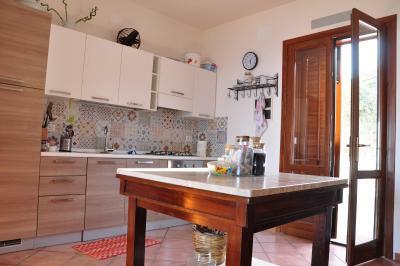 Excellent kitchen facilities if you do want to cook. Lucio (owner) was very helpful and always available if needed. Even left a breakfast out for us as we had an early flight and showed us how to use his very lovely coffee machine. A real rural and remote retreat for a relaxing holiday. 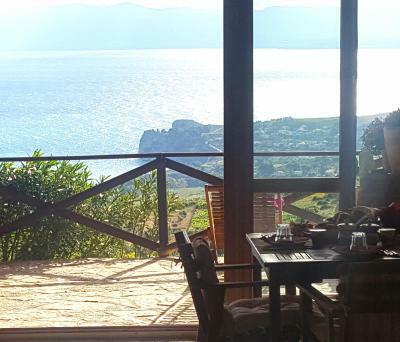 Great location, quiet, wonderful view on the coast. Rooms comfortable and clean. Breakfast really good. Host is really nice, relaxed and available. Kids friendly place, no fuzz. 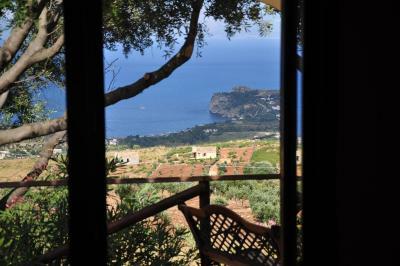 Humble and welcoming host, incredible location on agricultural land with outstanding views that were hard to take your eyes off, fantastic breakfasts and plenty to visit in an unspoilt corner of Sicily. Beautiful views from the terrace and breakfast space. 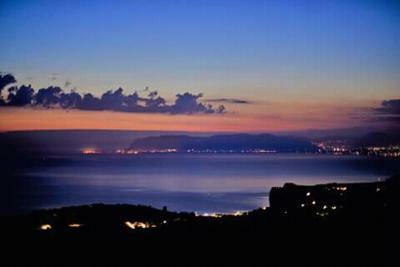 Good location for exploring nearby Segesta, Scopello etc. Rooms were quite sweet but wouldn't recommend staying for more than one night. Breakfast very good. 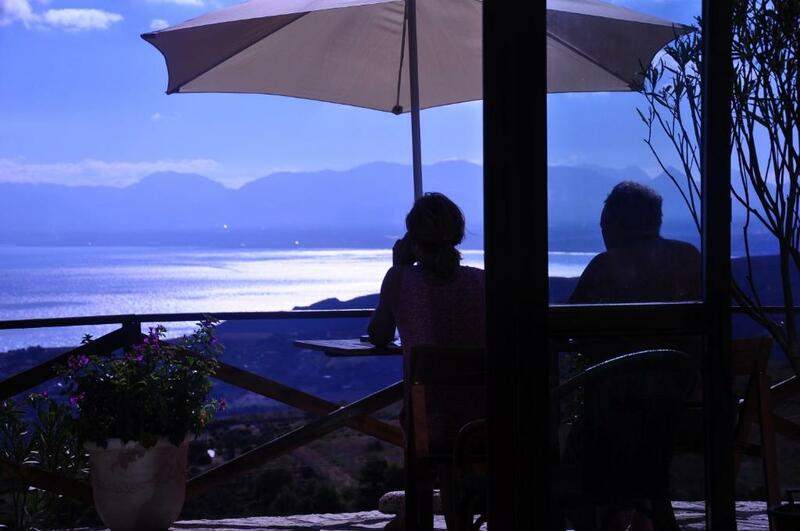 Set in its large garden with BBQ, B&B Tre Giummare offers sea or garden-view rooms with a patio 3.1 mi from the center of Scopello. WiFi and parking are both free at the property. Rooms at the Tre Giummare are all air conditioned and come with a mini-bar. The private bathroom has a shower. A sweet Italian breakfast is provided daily, including orange juice, yogurt, and fresh fruit. 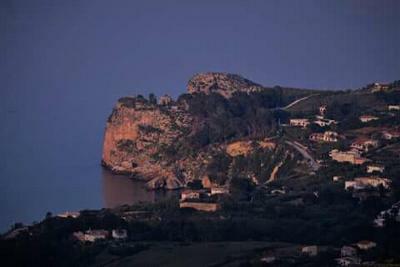 Many seafood restaurants can be found in Castellammare del Golfo, just 6.2 mi from the B&B. 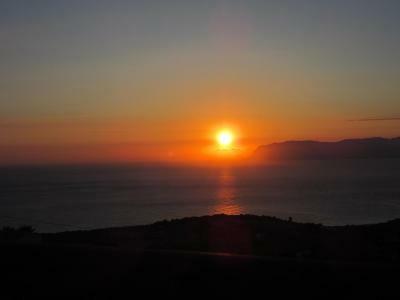 The Zingaro Nature Reserve is 4.3 mi away, while Trapani is reachable by car in 45 minutes. 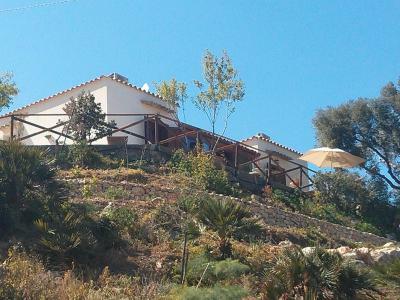 This property is also rated for the best value in Scopello! Guests are getting more for their money when compared to other properties in this city. 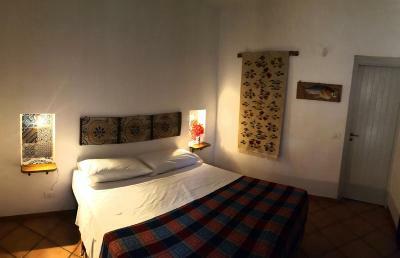 When would you like to stay at B&B Tre Giummare? Features a sea-view patio and free WiFi. Offering views of the shared garden, this air-conditioned room has a private bathroom with a shower. 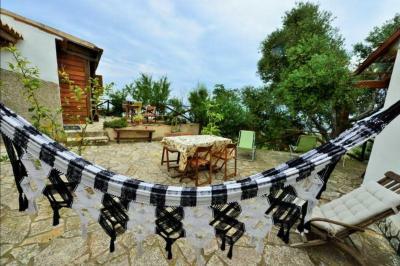 House Rules B&B Tre Giummare takes special requests – add in the next step! 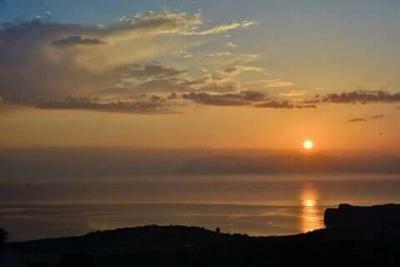 Do you know that moment when you think you'll pay for a beautiful view, but are you getting a piece of heaven? well, come here and you'll see it for yourself! 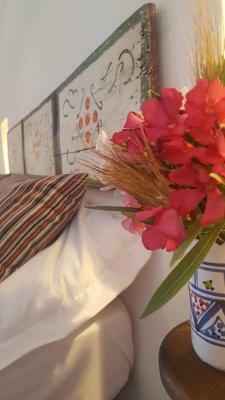 Everything is perfect here: from the soft and clean bedding sheets in the cozy room, from the varied breakfast every day, prepared with care and generosity by Lucio, to the breathtaking view from the patio, no matter how the weather is. Its peace and good vibes all around you. It's therapeutic to stay here! I will return and i will recomend it to all the people i know! It was the best choice i could make! Thank you Lucio for sharing a piece of your life with us! how often can you say that a hotel is BETTER than in the pictures? that is the case here. 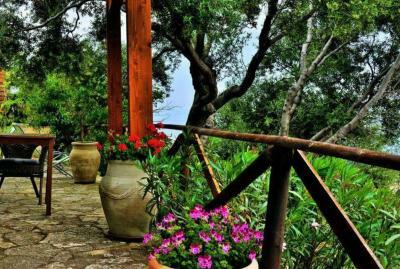 stunning location, relaxing atmosphere, rustic in feel but with luxurious amenities. beautiful breakfast, friendly staff. highly recommended. 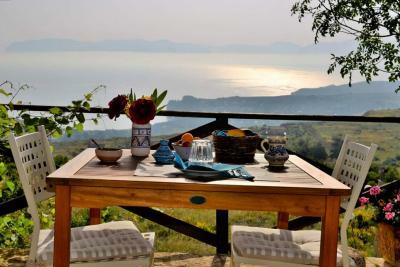 Very tranquil location in the hills behind Scopello. Lovely views. 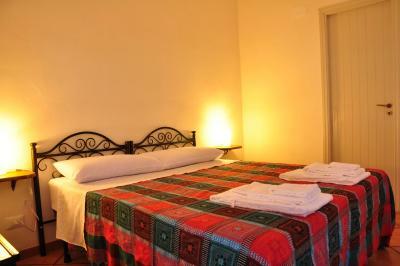 Comfortable beds, quality linen, decent shower, great breakfast, and kitchen facilities if you want to eat in. 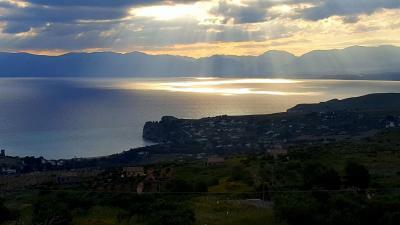 Bring supplies from the supermarket on the road into Scopello. Breakfast with the view. And I mean THE VIEW. It's so peaceful there with gorgeus view of sea. There was also friendly cat who kept us company. Breakfast was good, each day different and he also prepared vegan option for me and cappuccino with soy milk. Road to here is a bit bumpy but if you like peace and quiet, it's worth it. 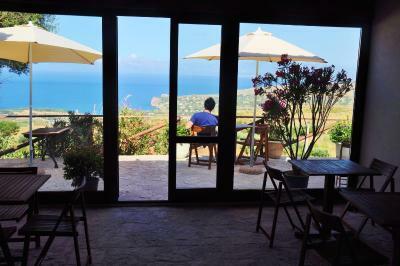 There is Zingaro natural resort nearby worth visiting ( stunning beaches with easy hike).